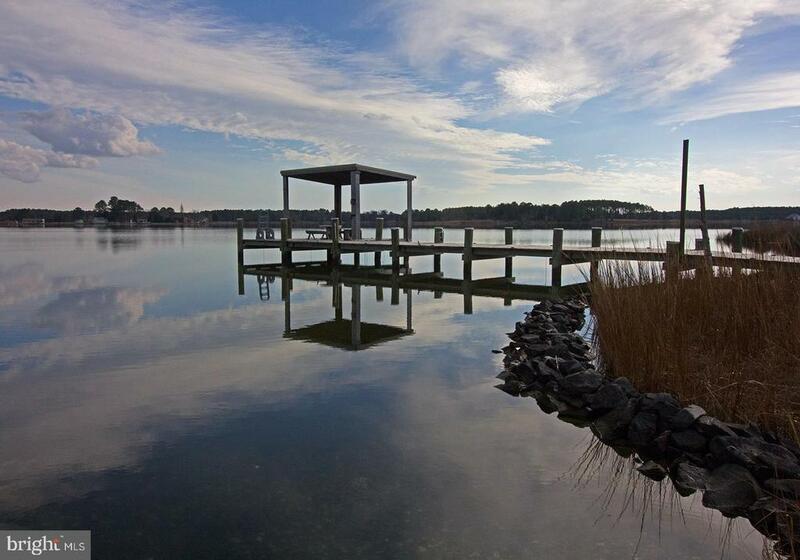 Welcome to this peaceful waterfront retreat on Fishing Creek. Here you have two bunk houses with a large screened porch overlooking the breathtaking water views. The 1.32+/- acre property includes a boat ramp & pier, gazebo, outdoor shower, detached garage with second fridge plus additional storage shed, approved 3 bedroom septic, fish cleaning station & so much more! Enjoy a boat ride out to the Choptank River & Chesapeake Bay for some summer fun or even some winter fishing trips! This is a must see - Call for you private tour today! Directions: From Rt. 50 East, right on Rt. 16 at the Walmart Shopping Center. Take a slight right onto Dailsville Road, left on Town Point Rd. Take a left on David Greene Rd and the property is located on the right. Look for sign. Inclusions: Refrigerator in the detached garage.